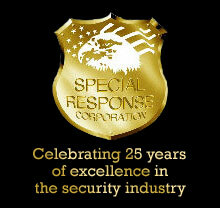 Special Response Corporation maintains the highest quality selection standards in the security industry. With our worldwide recruitment program, we are able to select among the finest military or police experienced personnel. We recruit actively from local, state, and federal law enforcement agencies, as well as every branch of the U.S. armed forces. Our Screening and Recruitment processes look specifically for the discipline instilled in members of the military and police. The traits that come with this discipline, such as courage, decisiveness, judgment, knowledge and tact, form the values of Special Response Corporation. Our employees embody these traits from the beginning and are chosen to be a part of the Special Response Training Academy because of them. We select only qualified personnel. Our pre-employment screening includes a complete background investigation of past employers, personal references, driving record, criminal check, proof of military service, as well as any history of drug or alcohol abuse. Every Special Response Corporation security team member has at least three years of honorable military service or two years of law enforcement experience. By combining the Military and Police background of all Special Response Team Members with the specialized training they receive, we can minimize risk liability.